MOSCOW, March 22. /TASS/. 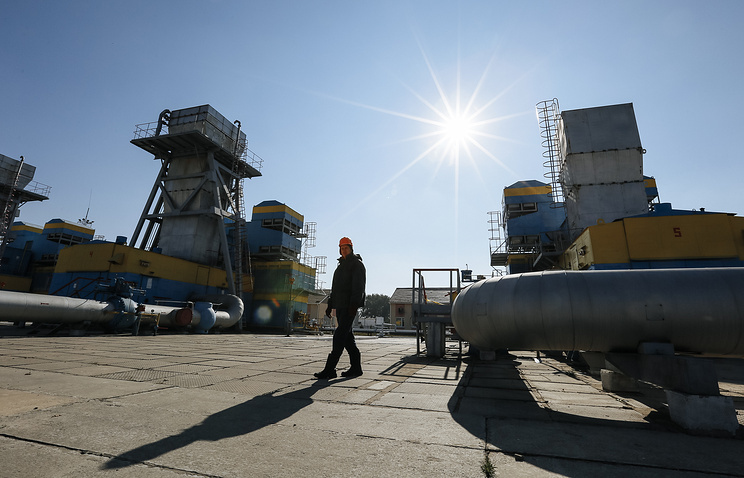 Ukrainian presidential candidate Yuri Boyko said his government would be ready to offer options to Russia to extend the gas transit contract between the two countries. He said this during the talks with the Russian Prime Minister Dmitry Medvedev in Moscow on Friday. The 112 Ukraina TV channel broadcast their conversation. "We are ready to offer and consider various options for mutually beneficial renewal of the transit contract after the existing contract expires at the end of this year," he said. Boyko voiced concern that the current government of Ukraine is not working actively on this issue. "A large transit contract is about to expire. In fact, we do not see proper activities from the current authorities. It concerns more than 50,000 jobs in our country, more than 3 billion in revenues to the budget, we cannot allow this contract to be terminated, this will create serious problems for our gas transmission system," he stressed. In January, Russia's Permanent Representative to the European Union Vladimir Chizhov said in an interview with TASS that Russia would be ready to extend the gas transit contract with Ukraine for another 10 years. The current ten-year contract expires on December 31, 2019. The Ukrainian presidential election will take place on March 31, 2019. Among those whose application was approved are showman Vladimir Zelensky, leader of Ukraine’s Batkivshchyna Party Yulia Timoshenko, leader of the Civil Initiative Party Anatoly Gritsenko and head of the Opposition Platform - For Life Yuri Boyko.